The Danish People's Party has proposed sending refugees to Greenland as part of a "national compromise" on the new influx. The head of Denmark's People's Party, which is part of the country's ruling coalition, has suggested sending refugees who arrive in the country to an abandoned naval base in Greenland. Greenland is one of the world's northernmost countries and most of its territory is taken up by glaciers. The abandoned naval base of Gronnedal, the proposed site for hosting refugees is in the western part of Greenland, where average winter temperatures can be as low as −20 degrees Celsius. In the summer, average temperatures rise several degrees above freezing. "This is completely perfect because it was abandoned a year and a half ago and is in tip-top condition. It has everything one can dream of, with health clinics and teaching locales. Up to 300 people could live there and on top of that it is in one of Greenland’s most beautiful areas," the party's spokesman Soren Espersen said, as cited by The Local. The party's head Kristian Thulesen Dahl said that the move could be a part of a national compromise on refugees which would allow the country to technically host refugees, but also return them to their home countries as soon as possible. 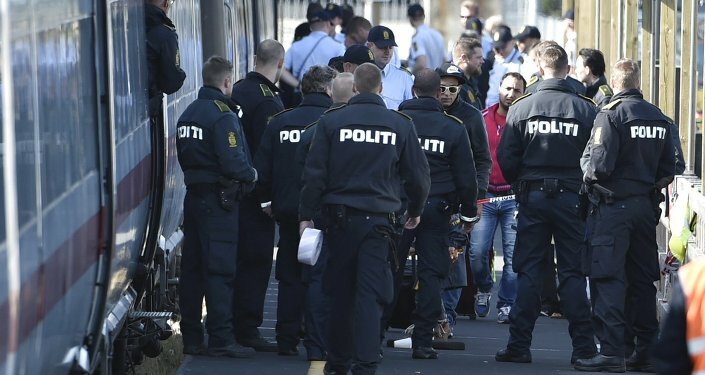 "If we were ensured that we are only helping refugees with temporary protection in Denmark, then we would be much more positive towards more coming to Denmark. That is something we are ready to accept," Dahl said. Greenland is a former Danish colony which has achieved self-rule, but remains part of the Kingdom of Denmark.